The Process of linking Aadhaar with the mobile number has now become much easier. 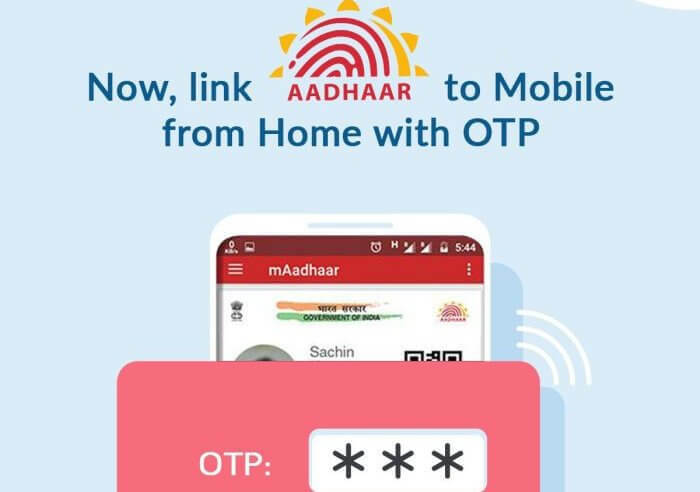 Now the customers can re-verify their Aadhaar number from Home with OTP via an IVRS (Interactive Voice Response System) service and service provider's website. Bharti Airtel, Vodafone India and Idea Cellular have now facilitated their customers with a toll-free service - 14546, to link their Aadhar with their mobile number, who previously had to go to their operators or retailers to link the two. The UIDAI (Unique Identification Authority of India) - the issuer of the 12-digit Aadhaar number - has issued directives for generating OTP either through the service provider's website or through the Interactive Voice Response (IVR) services to facilitate the Aadhaar linking with the mobile phone number, the government has said on microblogging site Twitter. So far the IVR service is available for Airtel, Vodafone and Idea users. The users can re-verify their mobile number by linking it to Aadhaar, just by dialling the toll-free number, 14546 and follow the instructions to link the Aadhaar number with the mobile number from the comfort of their home, without having to visit a service centre or a retailer. An OTP will be generated for Aadhaar-mobile phone re-verification, valid for 30 minutes. Moreover, users who are on corporate plans do not need to need to undergo the re-verification process. Jio subscribers don't need to re-verify their mobile number Since Jio takes Aadhaar number to activate the SIM card. The Airtel and Vodafone users can link their mobile number to Aadhar irrespective of which state they are in, meanwhile, for Idea customers, Aadhaar number should belong to the same circle as the mobile number. Meanwhile, Aircel has not started the IVR process for their subscribers. The deadline to link mobile number with Aadhaar is March 31, 2018. Step 1: Call toll-free number 14546. Step 2: Select one option out of two- Indian or NRI. Step 3: Next press 1 to give your nod to link Aadhaar to your phone number. Step 4: After this step provides your Aadhaar number and press 1 to confirm. Step 5: An OPT will be generated on your mobile number. Step 6: Now, you need to enter your phone number. Step 7: Here, you are asked to give consent to your operator to pick your name, photo and date of birth from UIDAI database. Step 8: The IVR now mentions the last four digits of your number to confirm that you have keyed in the right number. Step 9: If the number is correct, you can enter the OTP you received on SMS. Step 10: Press 1 to complete the Aadhaar -mobile re-verification process.